Press the trigger and boom; the ball blasts into the air! 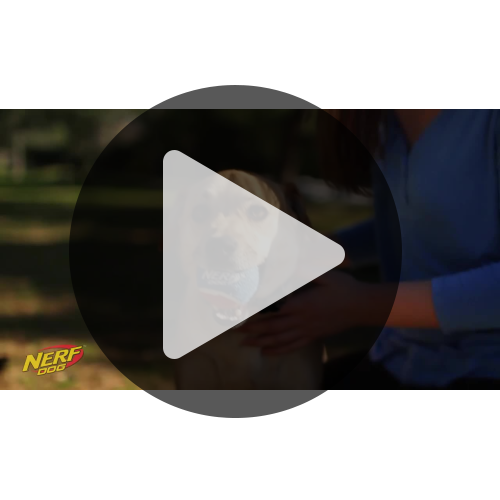 You and your dog are bound to have hours of fun together with the Nerf Tennis Ball Blaster. High-powered blasting action launches the tennis ball up to 50ft in the air. When your dog retrieves the ball, stay in the game by placing the barrel on the tennis ball creating a ‘hands free’ action. A great item to take to the park, which creates energy and excitement! Nerf Dog Distance Tennis Ball Blaster Dog Toy is perfect for playing at dusk and beyond thanks to the LED Glow Balls that light up and really get your dog's attention! Stock up your arsenal with 4 extra Nerf tennis balls! Great if you've lost the original ball or just want to shoot them in quick succession - more balls means more fun! The unique combination of tough foam rubber and durable TPR stands up to extended chewing and makes interactive squeaking sounds that dogs love. Reload your Nerf Dog Blaster with these highly-visible balls for extended playtime. Great for toss and fetch or solo play sessions. And it floats! 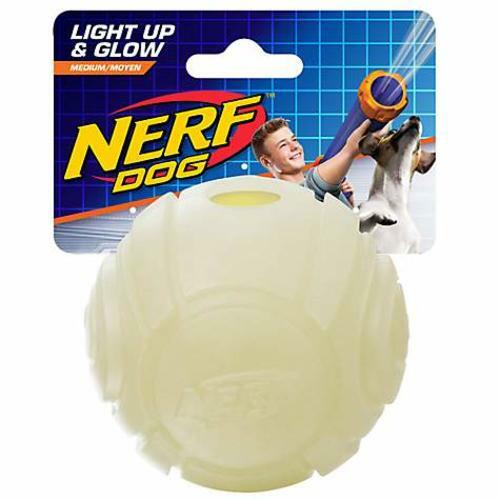 This durable glow ball fits perfectly inside the launcher and can be fired just like any other ball, with the exception that this one lights up different colours to really get your pooch's attention! Now you can launch sports balls out of your launcher and watch your pooch fly after them! What's more, these balls are even more durable than the originals! All balls are standard tennis ball size (6.35cm diameter).